​I'm Karen Roy. I sew and blog from Portland, Oregon, on the West Coast of the United States. I live with a friend who, being a quilter, understands my mess of fabric and pins and machines. Her two cats deign to cohabit with us, and occasionally inspect my work. They resent my vacuuming, but they'd resent it more if they ate a pin, so I vacuum frequently. If there's one thing the internet has taught me, it's that a sewing blog without a cat can hardly be considered credible. Therefore, I have prevailed upon my housemate's cats to grace this page, and they consent. Claudia the dress form is behind Pretty Kitty. ​Behold: Pretty Kitty! She is fond of sitting on fabric or sniffing the machine. She disdains to inspect finished products. ​And this is Cutie-Pie, who is a 'fraidy cat, but ventures out of his hiding places at the slightest promise of thread or string. In fact, he may have a sixth sense for the presence of string. He is a talker, and very sweet. 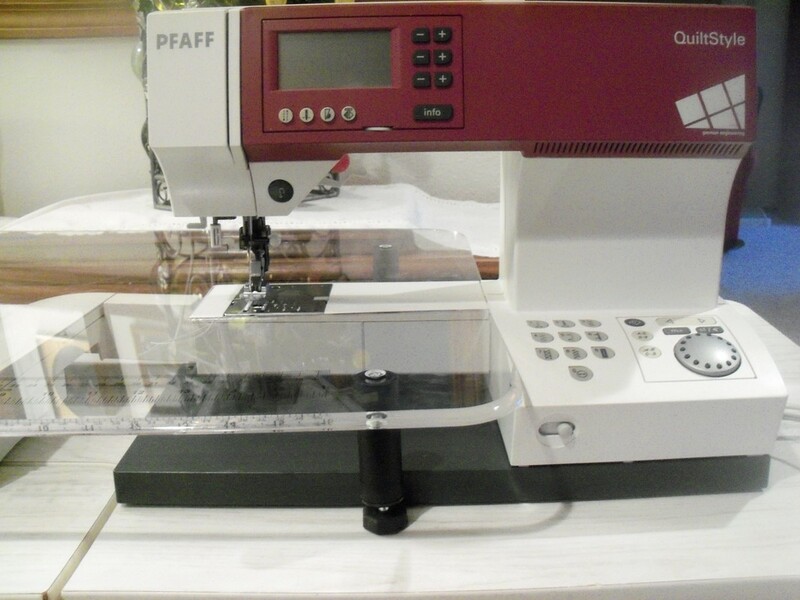 ​My sewing machine is Boudica, because she's a warrior and a valuable ally. Actually, she's a Pfaff, and very reliable indeed! My serger gets less use (she intimidates me) and is names Xena, to keep with the warrior princess theme. I use three dress forms: an adjustable blue one known as the Blue Lady, and two soft-foam ones of different sizes: Mimi (about my size) and Bertha (bigger than me). I am a private person by nature, and in the past have used the internet in relative anonymity, with usernames and abstract avatars and such. However, in recent years I've come to believe that it's a matter of integrity to be the same person online as offline, and using my real name creates accountability in that. So I've chosen to use my real name, and post pictures of myself. However, being the same person does not mean being completely transparent. Privacy is important. So what you see on this page is true and it's me, but it's not all of me. And I may change or leave out details which would reveal more of my life than I want to put online. I wish to be respectful of other people in the same way. Therefore I never post a picture of someone's face without their permission. Likewise with names, locations, cats. When I do post someone's picture, I ask you as readers to respect that person by leaving the pictures here. Links are okay, co-opting someone else's face without their permission is not. I do not post pictures of children's faces, even if I've made something for a child. Children have little understanding of what it means to be posted online--the possibilities, dangers, loss of control of the image--so they can't consent to it the way adults can. In my sewing, I make every attempt to respect the copyrights and licensing terms of others. If I use a pattern, I tell you which one. When I make things for others, I strive to be ethical by using patterns according to the terms of the companies, or by making my own patterns. Elizabeth Stewart Clark has a great guide to ethical dressmaking, which is worth a read if you contemplate sewing for money. When in doubt about usage rights, I ask; it's not hard to email a pattern company. The beautiful Robes de Coeur calligraphy was done for me by Rachel Miller Calligraphy.